by Julian Yang, Year 6, Class of 2020. Every year, we have a competition for Mathematics called “Maths Olympiad”. Previously, the competition had three levels each, for Year 1 and 2, Year 3 and 4, and Year 5 and 6. There also used to be three rounds, everyone did the first, selected students partook in the second, and only one from each level, for each house, competed in the third. This year, the competition was changed entirely, instead of basically just sitting down and taking a test, there was a treasure hunt. There were eight teams in total, two for each of the four houses, all with their own group leaders and group names. The day before Maths Olympiad, the Upper Primary students were gathered to be briefed and assigned into their groups. The group leader and group name for each group was chosen by the members of the respective group. On the day that Maths Olympiad was to be held, the students gathered again in front of the swimming pool before they set off for the challenge. When it started, each group was given a different puzzle to solve, the answer to the puzzle was the name of the next place they had to go to. There were several challenges that were presented to the challengers. A list of those challenges would include: making the most number of triangles with sticks, moving a stack of leaves with certain rules, arranging chess pieces in a certain way, drawing angles by laying down, measuring the volume, area, and perimeter of the swimming pool, a maths relay, and some other maths challenges. When all the groups had finished all of the challenges, they gathered yet again at where they started to announce the champions. After proclaiming the points that each group had received, the announcer said, “The winner is… group Bob!” Everyone laughed or at least giggled at the rather funny name of the Beruang group amongst the other, more serious ones like, “Mathologists” and “Eye of the Tiger”. In the end, everyone had lots of fun with the new and teamwork based version of Maths Olympiad. We all look forward to the next Maths Olympiad in 2016! by Cheryl Loh, Junior 1 Cempaka, Class of 2016. The crowd cheered, the lights flashed, sudden bursts of confetti erupted out of the ceiling as the cast of Annie sing the song, “Tomorrow” for the final time. However, it wasn’t until the showing of the MMC, “Make me Cry” video, when tears truly began to well in the eyes of the performers. By the time the video had ended and the show was truly over, everyone looked much to sad to be approached. This is why I had to conduct my interview with the cast of Annie the Musical, on Whatsapp. To begin, I asked about the audition process to which everyone pretty much replied with the same response, explaining, “For the cast, we would just have to pick 2 songs and sing and also go for the dance auditions. 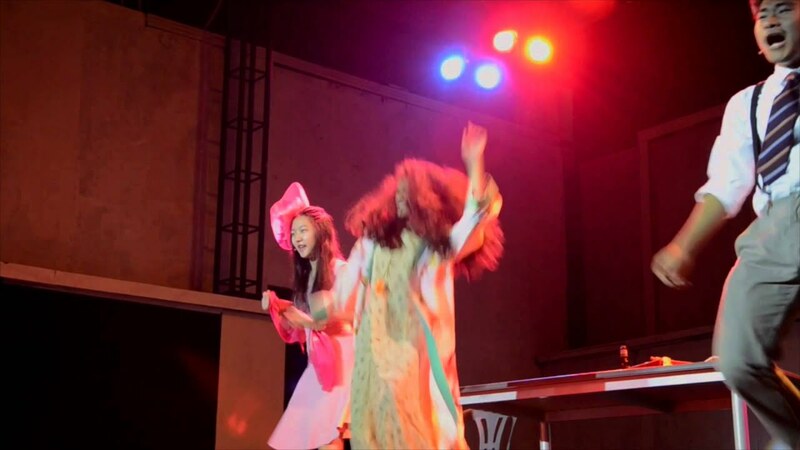 As for the DE (Dance Ensemble) and VE (Vocal Ensemble), they would have to go for the dance auditions respectively”. - Caitlyn Nicole, Grace Farrell. However, “Cast auditions are a bit tougher…..because we have to do a bit of everything which will be applied somehow later in the musical”. - Elmyzan, Mr Warbucks. My second question seemed to bring on a case of nostalgia as the cast talked through their experience from Annie and how it compared to previous productions they’ve been involved in. Naturally, I received very positive answers, “My experience in this year’s musical production has been amazing, challenging and fun. Because I was given the opportunity to be one of the main cast performers, I had the privilege of learning all the new techniques of dance, acting and singing in detail.” - Nuha Jes Izman, Ms Hannigan and “This production experience has definitely been different compared to my previous production as I was seen as a junior before and now I am seen as one of the seniors”. - Jeanna Leia Alis Junady, Mrs Pugh. However, Caitlyn agreed the rehearsals felt different due to the presence of so many juniors, “Since we have a lot of primary students, the kids are jumping around being all energetic while the seniors just sit around and do our homework”. just as talented as all of us, I think they’re gonna make it big one day”. I can’t imagine it’s easy to go up on stage in front of a hundred people and act as someone else, especially a character possibly twice your age. This is why for my next question, I had to ask, how they managed to learn to portray their characters. For Warbucks, Elmyzan states time is the key to his success, “It takes time and as the weeks passed I became more comfortable with my character and I learned how to separate myself from being Oliver Warbucks to being back to me again…..I watched a lot of movies with characters portraying themselves as a rich guy with such power he could do whatever he wants but still keeps his cool”. Another cast member who took to watching movies was Nuha Jes who, “At the start of this production, I did some research and watched the movie to visually see the way my character walked, talked, ate, drank and reacted to certain situations to develop my own interpretation of Ms Hannigan.”. As for bringing life to her character, Nuha says “It’s really all about transforming and bringing your character to life when you’re on stage. I like to have fun with my character and use the time I have on stage to do the wild and crazy things I wouldn’t get to do in my actual everyday routine”. How does it feel knowing you’re going back to school in less than 2 days when you’ve been so committed to this for 2 months? To the above mentioned cast members, thank you for sharing your memories with us, and to the cast of Annie as a whole, as said in every MMC, Thank You For The Magic! by Emma Lim, Junior 2 Higgs, Class of 2015. All photographs by Lai Li Chan, Junior 2 Higgs, Class of 2015. Waking up early for the education you so rightfully deserve from Monday to Saturday, with no ounce of dread just to attend classes for a mere 4 hours, walking or cycling your way to every destination you wish to reach even if it means a pair of swollen feet. Working to your full capacity every day to earn enough money for your four siblings to get the already insufficient nutrition they desperately need. This is not my life; neither is it yours. However, it is the lives of many underprivileged children living in Cambodia. Nevertheless, their monetary status does not affect these children's views in life. The life in their eyes has yet to fade and their smiles have not been wiped off their faces despite the unfortunate circumstances they live in. No bitterness was found in their hearts as they wholeheartedly embraced us, the Interactors, as we fully prepared ourselves to be immersed in the culture they had to offer. For most of the Cambodian population, the country’s official religion - Theravada Buddhism, is the faith of choice. Theravada Buddhism has been their state religion since the 13th century, with the exception of the Khmer Rouge period. The minority religions include Islam, Christianity and tribal animism. Previously, Islam was practiced by about 200,000 Cambodians but their numbers dwindled due to the persecutions under the Khmer Rouge. The orphanages we went to gave us glimpses of Cambodian dances. The girls performed intricate and slow hand gestures which were complimented by simple and light footwork, alongside a slow traditional song in their native language, Khmer. Dressed in the Cambodian national dress, the "Sampot", with an armful of chunky, colourful bangles, their gentle and fluid movements were executed to the best of their capabilities. Though every meal we ate was provided by Muslim restaurants, unknowingly, we were eating Cambodia’s staple foods. As Cambodia is one of our Southeast Asian neighbours, their eating habits are very similar to ours. Most meals were accompanied by rice, with dishes containing fish sauce, which is widely used in the country, evident by the countless tom yam soups that our troop were served during lunch and dinner. Unfortunately, we weren’t able to savour the popular dishes Cambodia was known for, namely their pork broth rice noodle soup and curry, which are highly influenced by the Chinese and Indian cultures respectively. The abundance of culture in Cambodia is meant to be indulged personally, not to be read as a mere article which doesn’t do it much justice. The world Cambodia has created is unlike any place you have been to before. Dare to throw yourselves into a journey of excitement and adventure? You will not regret it. by Natasha Wong, Junior 1 Cempaka, Class of 2016. Each day, we groggily drag ourselves to get ready and head to school. We enjoy our breakfasts, lunches and dinners. We enjoy our classes (though that’s debatable) and sleep in our own rooms and beds. As much as we complain, we really are living very fortunate lives - so fortunate that sometimes we miss out on what’s happening to the people around us. An example would be something that just recently happened on our shores, involving Rohingya people. 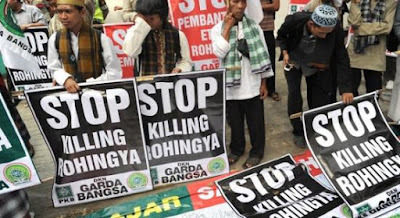 The Rohingya Muslims are a minority that lives under persecution in Myanmar. Their country refuses to accept them, going as far as for the government to enforce policies to repress the Rohingya. They are denied the basic living necessities, living with their movements restricted. Back in 2012, an outbreak of violence between Buddhists and Rohingya Muslims started a struggle that drove nearly 150, 000 Rohingya from their homes and into hastily put-together camps. It is because of this treatment that they flee their country, and now, are stranded at sea. According to the UN refugee agency, in the past three years, more than 120,000 Rohingyas have boarded ships to flee abroad. The agency claimed that 25,000 migrants left Myanmar and Bangladesh in the first quarter of this year, about double the number over the same period last year. They have no choice but to escape through human traffickers that seek to exploit them further. These traffickers often demand ransom from their families to ensure their safety, and they are often forced to work in labour camps after the long journey at sea. This inhumane human trafficking circle has not gone by unnoticed; The Thai government has begun to crack down on these smugglers, causing them to abandon the boats – with the Rohingya people remaining. This leads us to the newspaper headings we have been seeing these few days - stories of unwanted migrants in the sea, sent from one unwelcoming country to another. Their own country has rejected them, and surrounding countries have at very best given them a lukewarm reception, with local fisherman even being told not to help them. 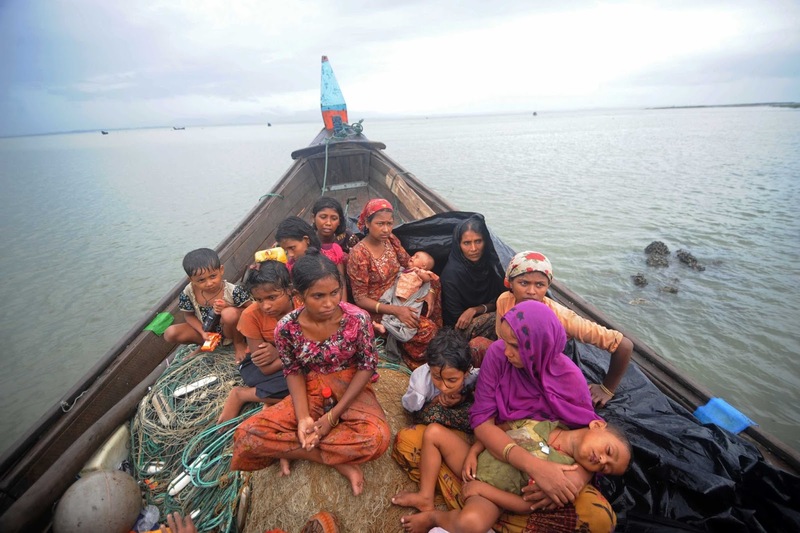 The Malaysian government has pulled their resources together in order to house the refugees temporarily, even sending out coast guards and the navy to conduct search and rescue options for boats carrying Rohingya migrants stranded at sea. On the 21st May, Prime Minister Najib Razak tweeted that “We have to prevent loss of life.” - words that ring true throughout the dire situation. The atrocities committed to the Rohingya Muslims are too many to count; the stories and experiences they’ve been through are scars that continue to haunt them - and the rest of mankind.